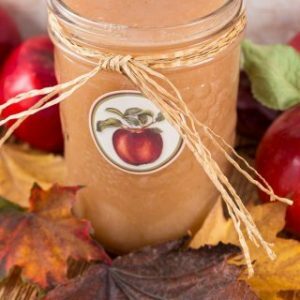 Healthy Slow Cooker Applesauce, this easy recipe requires no peeling of apples so it is perfect for small apples. I have two beautiful apple trees in my yard. One gets gorgeous large apples similar to McIntosh apples, the other very small sized apples. So what is one to do with all those small apples? I hate seeing anything go to waste, but it is way too time consuming to peel these small apples. You could can them, but I’m not a big fan of canned apples. So I thought I would try something real simple like making applesauce in the slow cooker. 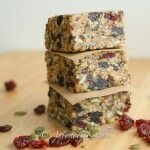 Great technique for making organic homemade Baby food! This was so easy!! All I did was wash the apples, chop in chunks to remove seeds and core, place in the slow cooker, add a bit of water and cook for 4-5 hours on low. Once they were cooked soft, I mashed them down a bit with a potato masher. Then using the handy cone and pestle my Mom gave, I mashed all the cooked apples through and viola, fresh, organic apple sauce! 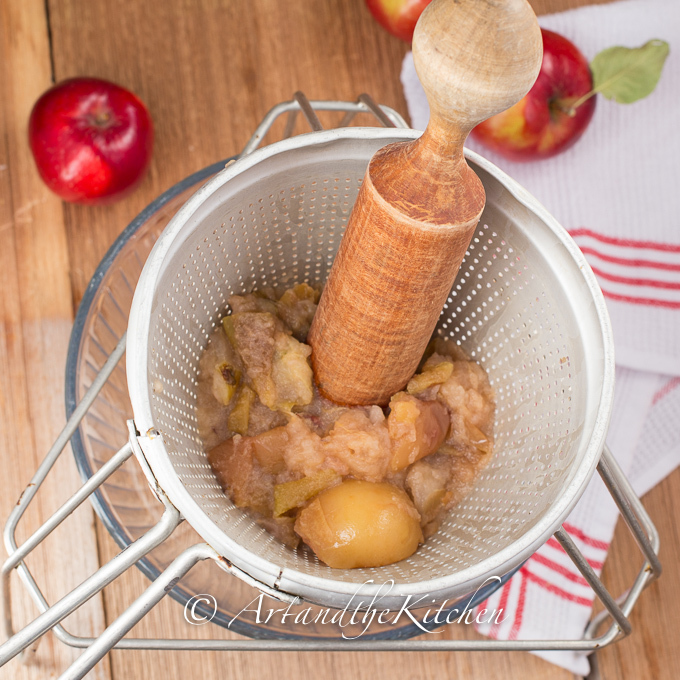 The sieve separated the skins from the apples, leaving terrific smooth applesauce. I prefer not to add any sugar or spices to my applesauce before freezing so I can use the applesauce in any recipe. But if you like, add cinnamon, cloves or nutmeg at the start of cooking the apples. 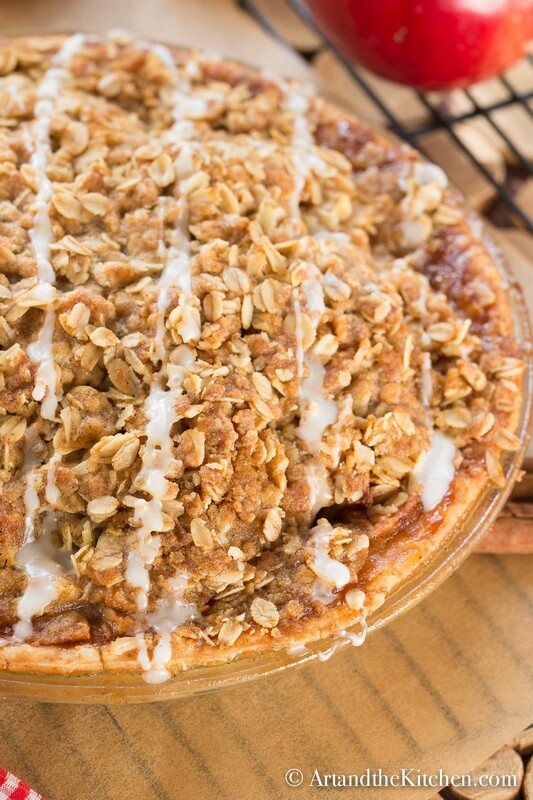 You can also sweetened if desired with white or brown sugar, honey or maple syrup. 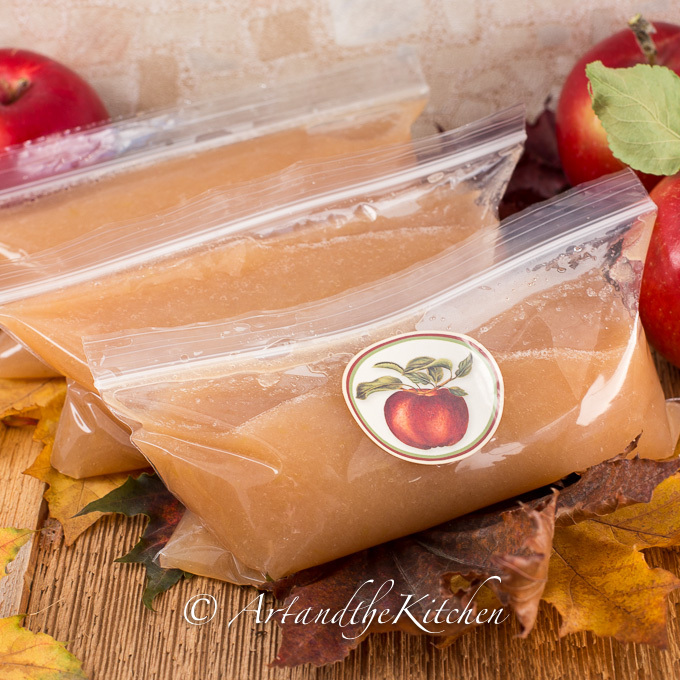 Once done I like to store my applesauce in small 1 cup freezer bags for easy measuring for recipes. 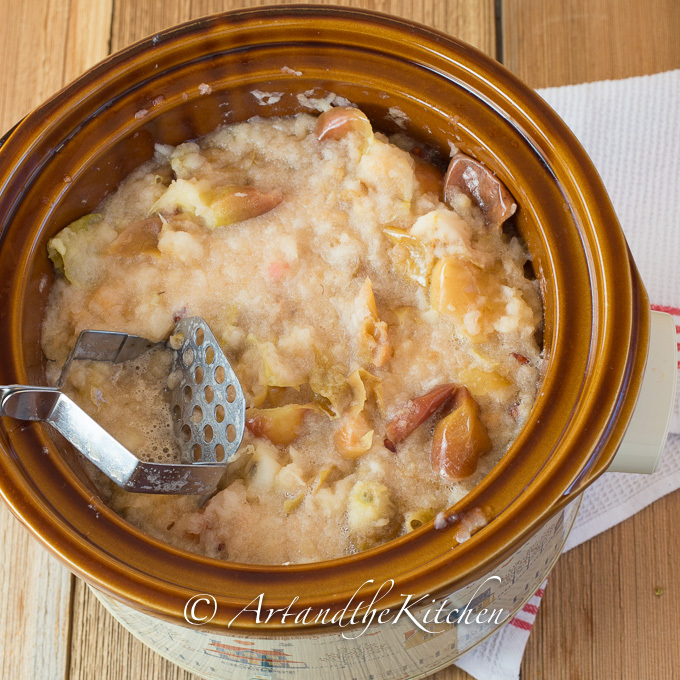 So instead of raking up all those apples and throwing them out, make some homemade Slow Cooker Apple Sauce. 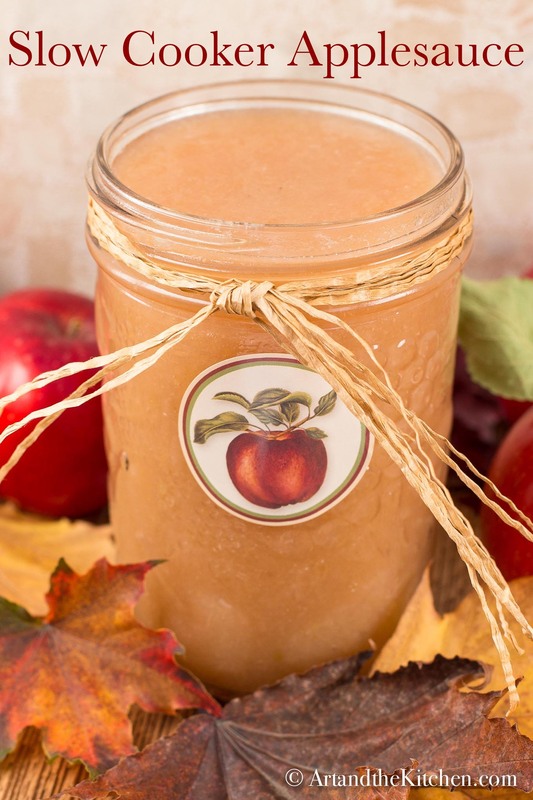 What a simple method to make pure, delicious applesauce. 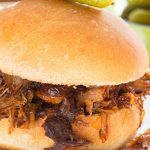 No peeling and using the slow cooker makes it so easy! 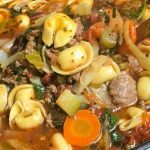 Bonus – the house smells amazing! 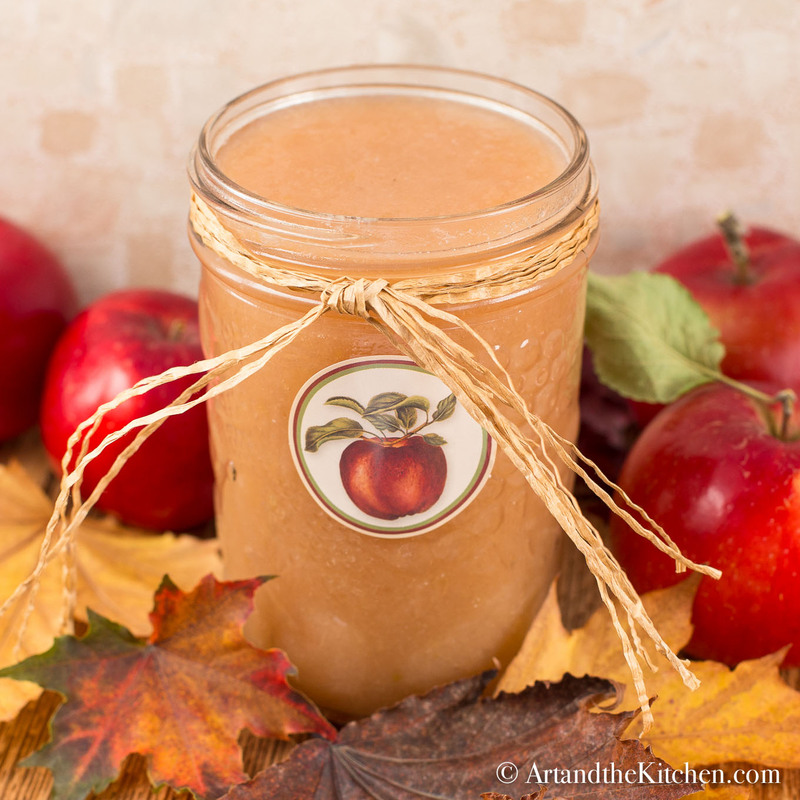 perfect homemade applesauce recipe for small apples, no peeling apples required! Wash apples, chop into pieces to remove seeds and core. 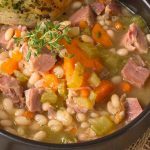 Place into slow cooker. Cook on low for 4-5 hours, stirring after a couple of hours. Mash down with potato masher, then strain through cone and pestle strainer. Place into freezer bags and freeze. Refrigerate in jars if using within 4-5 days. I see that the applesauce is in jars. Can this recipie be hot water bath processed? I would like to make applesauce with my apples as well but would like to give half pint jars or it away for Christmas gifts to people at work. I’m sure it can be canned, but I am not expert at canning so please look up a good source for canning. I froze most of my applesauce and just put some in a jar to use right away. Any worries about the cyanide in the seeds or are the apples small enough there are not enough seeds to worry about. Your apples look very similar to mine. Tried my first batch and it came out great. Very easy, but further reading gave me some concern about cooking with the cores. Thoughts? I found using the pestle didn’t allow most of the seeds to strain through, but as I’m not sure how much pressure people use staining and the chance of crushing the seeds I’ve changed instructions to chop apples to remove seeds. 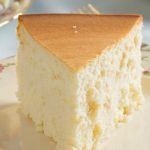 I had never heard of this, so I had to google it. 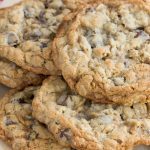 “You would need to finely chew and eat about 200 apple seeds, or about 20 apple cores, to receive a fatal dose.” I don’t believe it’s a concern at all. So much better than store bought, and no additives!